If you stay at “La Darsena”or have lunch at the restaurant, you may have the chance to meet some of our sport lovers and champions. Just to start, let’s mention one of the owners, Ezio Molli, who used to do many sports, from cycling to Alpine skiing, snowboarding, windsurfing, skateboarding, skiing and he still goes for miles on his bike, as soon as he can take some time off. Ezio has passed down his passion for sports to his son who now contributes actively to the family hotel-restaurant “La Darsena”. The chef Marcello is a former rower and now he is into Thai boxing. Giuliano, who takes care of the restaurant and the reception, was a wakeboarder and mounted the podium several times: 7 gold medals at the Italian Championships, a bronze medal at the European Championship in 2009, several gold medals in international competitions and a bronze medal at the World Championship in South Korea in 2009. As a young champion he was able to pass on the will to win to his young cousin Massi”who at 6 had already started riding a wakeboard and trying his first tricks. Today Massimiliano, son of the other owner Tiziano Piffaretti, is 20 and in the last three years has lived in Orlando from April to October and in Sydney from January to March training and competing with the strongest riders in the world. Among his many accomplishments, “Massi Wake Piffa”won three European Championships in 2012, 2013 and 2014 and the World Championship 2015 in Cancun, Mexico. 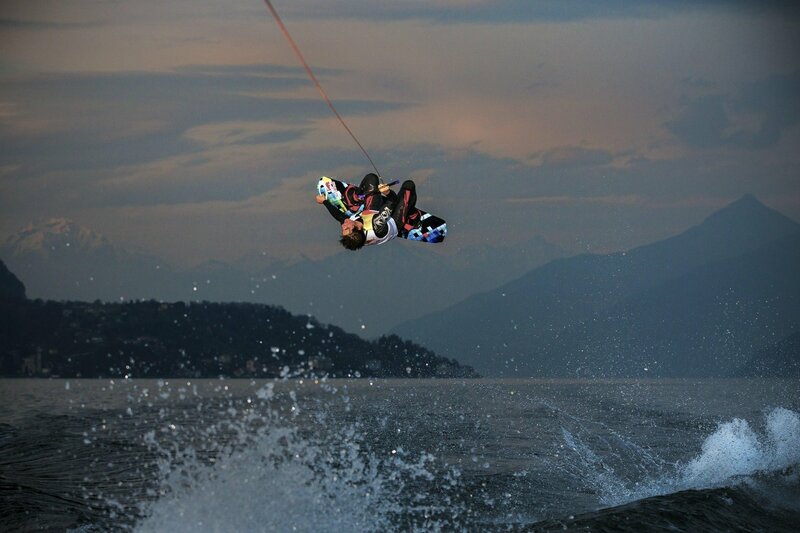 For the latest news and his sport performances look up Massi Wake Piffa on facebook, twitter and instagram, but the lucky ones can meet him at La Darsena and discover some of his tricks!